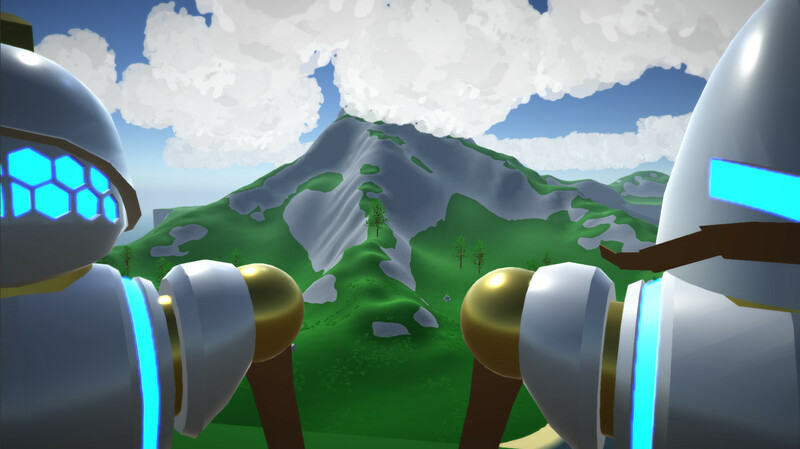 Airmen is a first person shooter where players build and battle their own custom airships. 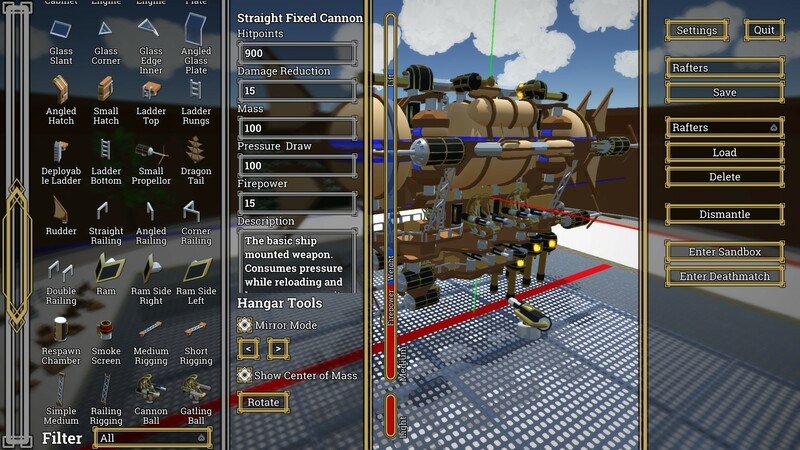 Start with an empty hangar and build a steampunk airship piece by piece. 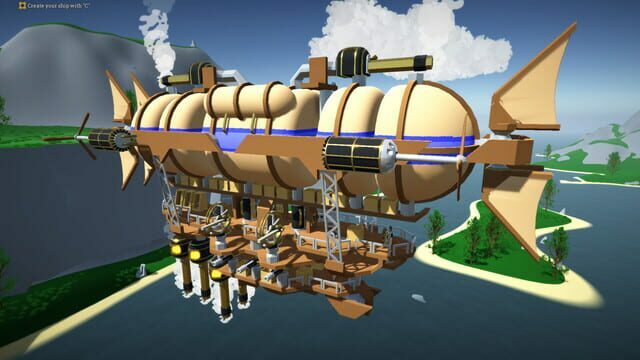 Once your ship is ready, you and up to four friends can crew your airship together into combat. 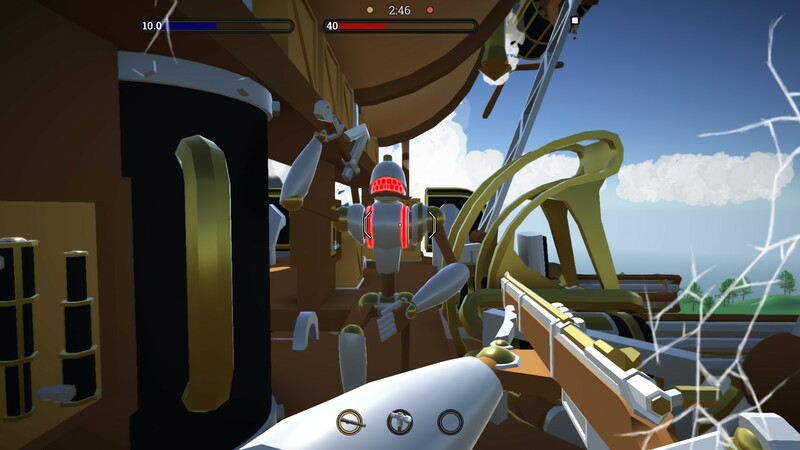 Operate your vessel and destroy or commandeer others all in first person! 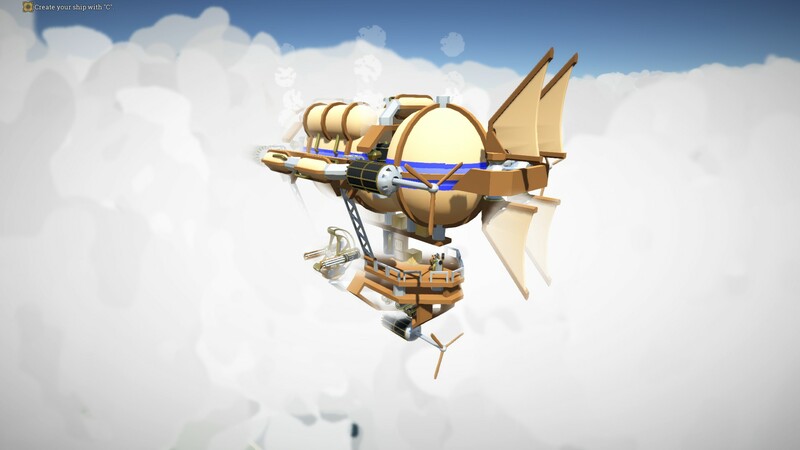 Airships are destroyed exactly how they're built: piece by piece.